The Duke and Duchess of Cornwall arrived in Cornwall today on their annual visit to the South West. 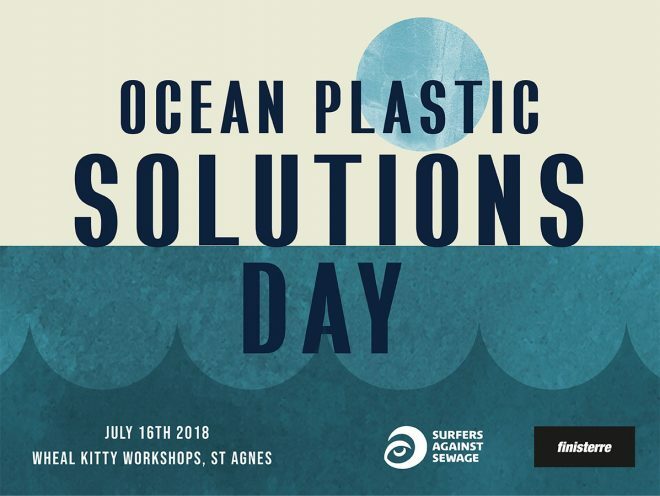 This year’s visit included a trip to Wheal Kitty Workshops, St Agnes – home to SAS and a number of other environmentally conscious organisations – for the Ocean Plastic Solutions Day, organised by Surfers Against Sewage in collaboration with sustainable clothing brand Finisterre. 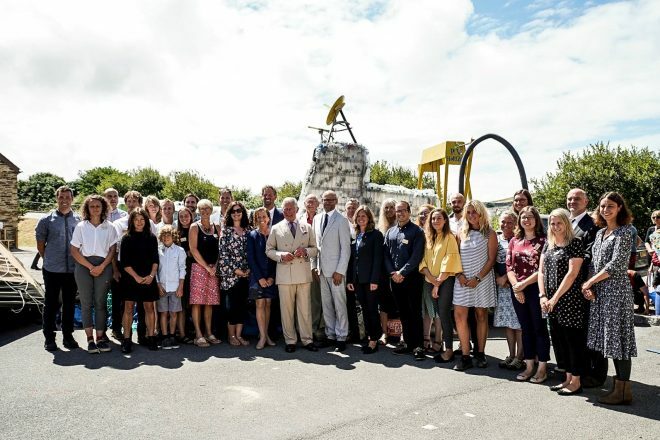 The event brought together key business leaders, innovators, NGOs, politicians, media and other key stakeholders to discuss and demonstrate the progress society is making in tackling ocean plastic pollution from source to sea. Throughout the day delegates heard inspiring talks from leading figures in the world of ocean plastic solutions and sustainable design, including Professor Richard Thompson OBE from Plymouth University, Lucy Siegle from BBC’s The One Show, world-class freediver Hanli Prinsloo, Richard Walker from Iceland Supermarkets, and United Nations Patron for the Oceans, Lewis Pugh. His Royal Highness, who is well known for his advocacy on environmental issues, made his way around the exhibition meeting the Finisterre and Surfers Against Sewage teams, as well as a small selection of innovative businesses. 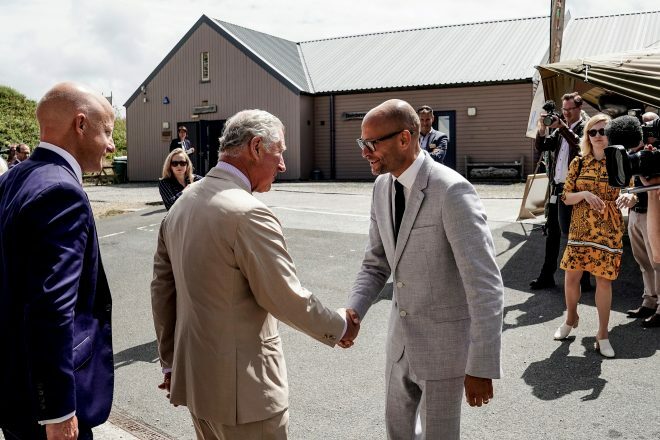 “It was a huge honour to host His Royal Highness the Prince of Wales the for the Ocean Plastic Solutions Day and inform him on the progress Surfers Against Sewage has made towards our goal of plastic free coastlines. “Since we first met in 2015, there has been a tidal wave of awareness of marine plastic pollution and a dramatic new response from communities, industry and government to deliver innovative solutions to stop the plastic tide. Participants had the opportunity to interact with cutting-edge innovation in the Ocean Plastic Solutions exhibition area and sample delicious food from Wheal Kitty’s locally-sourced caterer Canteen. The Ocean Plastic Solutions Day Conference and Celebration event follows on from the successful Ocean Plastic Awareness Day which took place in 2015.